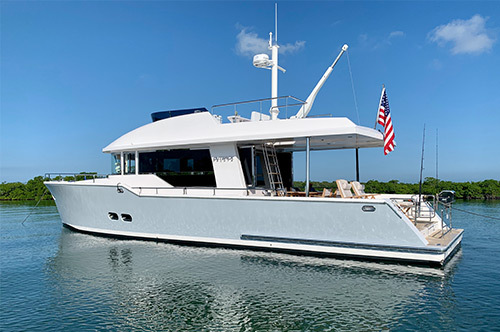 The name OFFSHORE and naval architect Bill Crealock have been at the forefront of the semi-displacement and planing hull designs for over three decades. To appreciate this statement, one must go back to the mid fifties, when Bill Crealock started to design the deep V fore foot hull shapes, which quickly were recognized for excellent performance as well as gentle, easy motion and moderate beam, yielding efficient fuel burn at all cruising speeds. 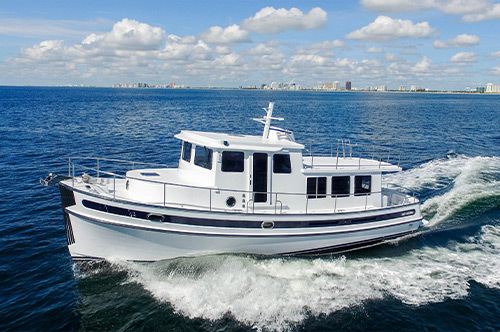 Offshore and Crealock, throughout the entire line, have resisted the temptation that many builders have adopted, and kept the center of gravity low in the water, without adding high-sided, wide beam hulls, which only add to inefficiency and an uncomfortable ride when the sea conditions become demanding. 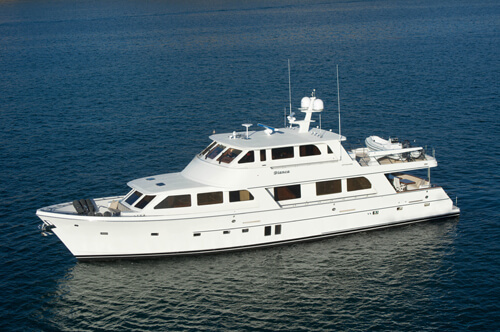 One of the most important, and often not always appreciated features of a yacht builders line of models, is what comes standard in a new build package when the potential new owner is shopping experienced builders...When one actually studies the impressive standard equipment list of each model of OFFSHORE, it is immediately apparent that the pricing game will be quickly understood, and the quality of the selected standard equipment as well as "what comes standard" will surpass anything in the 54 ft. to 92 ft. category. 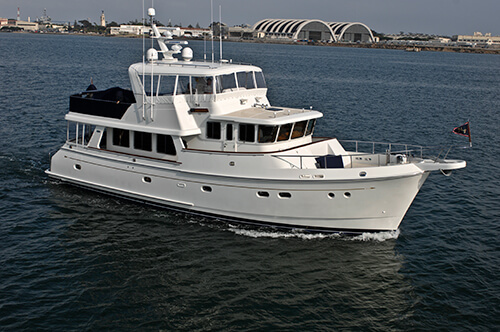 With the reputation: "The Softest Ride On The Water" plus quality, integrity, and loyal ownership... make your next build choice the best and consider OFFSHORE for the most enjoyable cruising experience for your family.